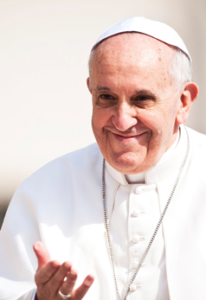 At NETWORK, Pope Francis has touched our hearts and influenced our work. We invite you to join us in reflecting on the pope’s words and living out his papal exhortation Evangelii Gaudium (Joy of the Gospel). Download NETWORK’s Joy of the Gospel Study and Action Guide. Download a print-friendly version of Chapter Four: The Social Dimension of Evangelization. Fr. Thomas J. Reese, SJ (Senior Analyst at the National Catholic Reporter). View previous years’ State of the Union bingo cards below.